The Pine Hill Haints are bringing the ghost sound back to their hometown. Along with them, comes ex-punks Slow Motion Cowboy all the way from San Francisco with their own style of legacy country, rhythm, and blues. Also tagging along is Florence's newest punk rock outfit, The Dismals, who are also going to be releasing their debut EP on 7" vinyl records (for all you vinyl lovers out there), full of some good time rock'n'roll. Come out, grab some brews, and enjoy some tunes. James the Fang and Serious Sam Barrett "Dime Horseshoe" tour. Here are the dates for the upcoming "Dime Horseshoe" tour. 10th The Apple Tree, Clerkenwell, London for Come Down and Meet the Folks. 20th Barnsley Folk Club at the Trades Club. Straight from the Rock N Roll depths of Japan comes Your Pest Band on tour! 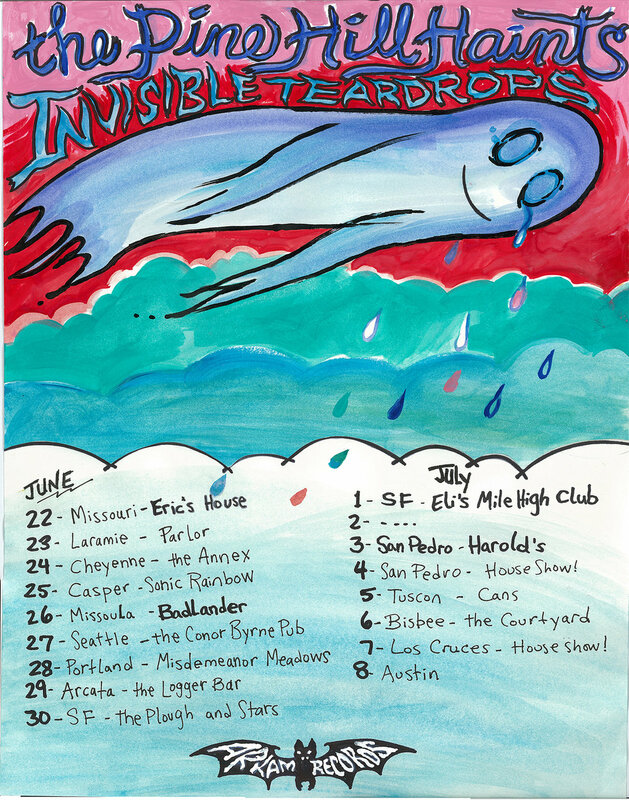 The Invisible Teardrops are tagging along so come and dance your heart out at one of their U.S. Shows! The Muddy Roots Music Festival! The Pine Hill Haints Are Playing The Muddy Roots Music Festival In June! The Pine Hill Haints will be playing both the Muddy Roots Spring Weekender in Nashville, IN and Muddy Roots Cowboy Up in Waardamme Belgium in June. The Pine Hill Haints will take the stage along with our friends Th' Legendary Shack Shakers. Its going to be some killer shows. DOORS - 7.00pm - Get down early if you haven't got a ticket! The invisible Teardrops Record Release Show! After two long years, The Invisible Teardrops have recorded and are releasing our first full length album "Cry Cry Cry". Come hangout at Court Street Market and pick up the new LP. Calvin Johnson and BetaMax with The Invisible Teardrops for Two Nights! CALVIN JOHNSON is a legend. 1/3 of the seminal punk group Beat Happening, who have been credited with "shifting punk from the angry, leather-wearing mohawk guy to the smart girl in a cardigan" (pitchfork, I think). He also founded K Records who released early work from Beck, Modest Mouse, and Built to Spill. 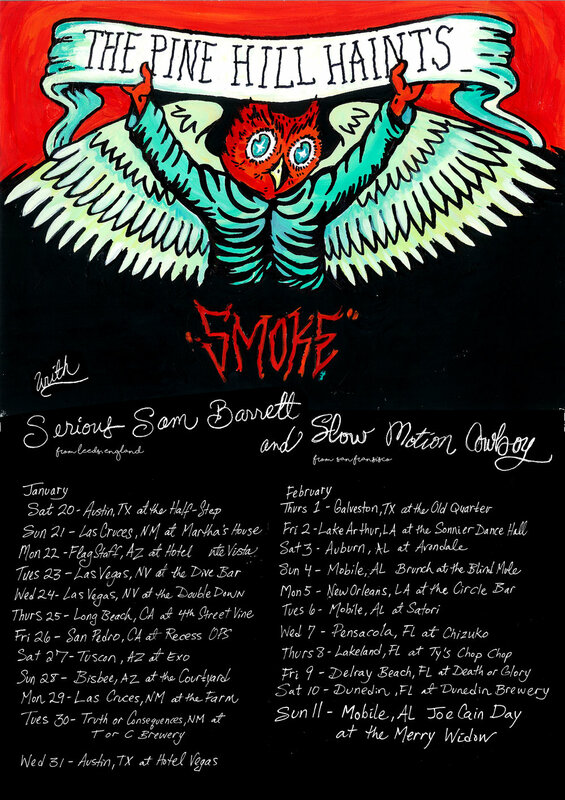 Serious Sam Barrett is doing a tour in the United States next week! The first half of it being Sam and a cat named Al Scorch then he'll meet up with Jamie (The Fang) for a few shows. Finally he'll meet up with the Haints for the final leg of the tour. 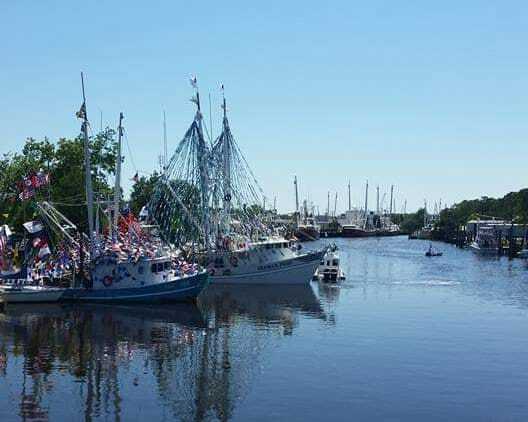 7th FEB - Mobile Alabama at the Merry Widow for Joe Cain Day! Y'all come out and dance!!!!! We just wanna dance!!!!! A Rise From Your Grave......Rise up Howling Werewolf Show!! Rise up Howling Werewolf comes together again after a long hiatus....joining the lineup Ursa Locomodus and a third band to be determined! $5.00 at the door and cash bar! Clarabelle and the Creeps Record Release Shows! This is the 2nd release from Clarabelle and the Creeps, a real SCORCHER recorded! One Eyed Jack's in New Orleans on December 18th with ‪Lost Bayou Ramblers. Don't forget, we have a new 7'' split with Japanese band, Your Pest Band, coming very soon. Get ready for this spring! Jamie and Sam are going on a huge tour. They are starting out west in mid-March. Don't miss this great opportunity to see them live! The Pine Hill Haints and The Invisible Teardrops Shows This Weekend. 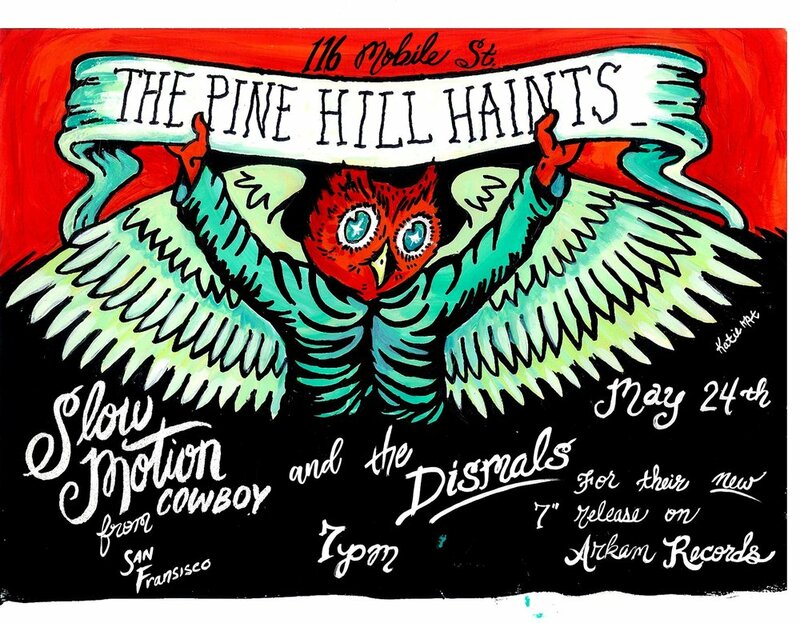 The Pine Hill Haints and The Invisible Teardrops- Joe Cain Day Show!